If you're following your passion, running an AWESOME small-medium sized business, have amazing products- this ones for you. 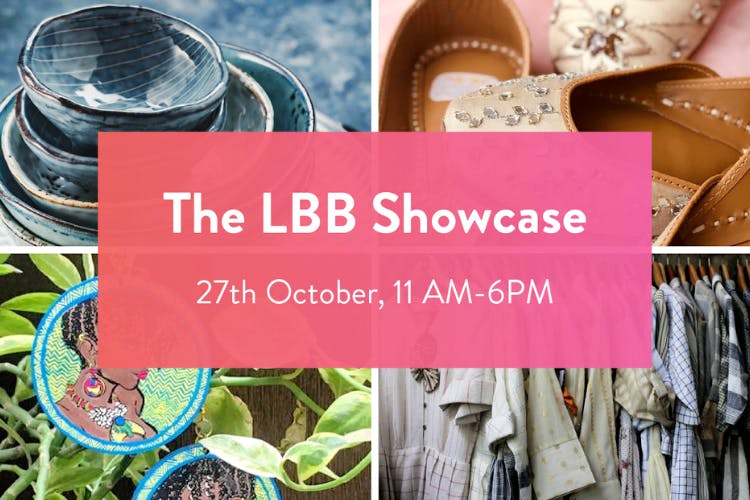 We're hosting our first edition of #LBBShowcase in Mumbai - a chance for you to show your products to the LBB crew... and even sign-up to sell on LBB! You could run a clothing boutique, you could be a doodler-by-night, or you could be the 3rd generation owner of a unique jewellery brand. If you're doing something awesome- in fashion, accessories or local events & snack- we want to know. All you need to do? Sign-up for LBB Showcase, and if you're selected, you get to bring your products to our offline event & show 'em off- next thing you know, you can get featured on LBB AND also sell your products through us! There's more - network with other local business owners, interact with existing brands who’ve struck gold on LBB and hear their stories, and enjoy some yum coffee and goodies. Event's happening on 27 October from 11 am-6 pm, for shortlisted brands and businesses. Excited to see you, IRL!